The performance of an algorithm used depends on the GNA. This book focuses on the comparison of optimizers, it defines a stress-outcome approach which can be derived all the classic criteria (median, average, etc.) and other more sophisticated. 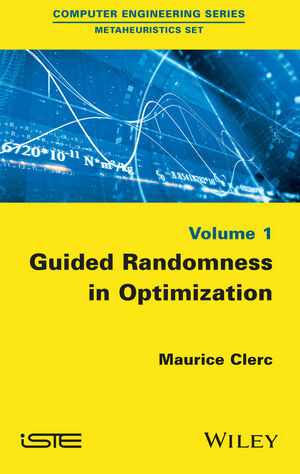 Source-codes used for the examples are also presented, this allows a reflection on the "superfluous chance," succinctly explaining why and how the stochastic aspect of optimization could be avoided in some cases. Maurice Clerc is recognized as one of the foremost PSO specialists in the world. A former France Telecom Research and Development engineer, he maintains his research activities as a consultant for the XPS (eXtended Particle Swarm) project.